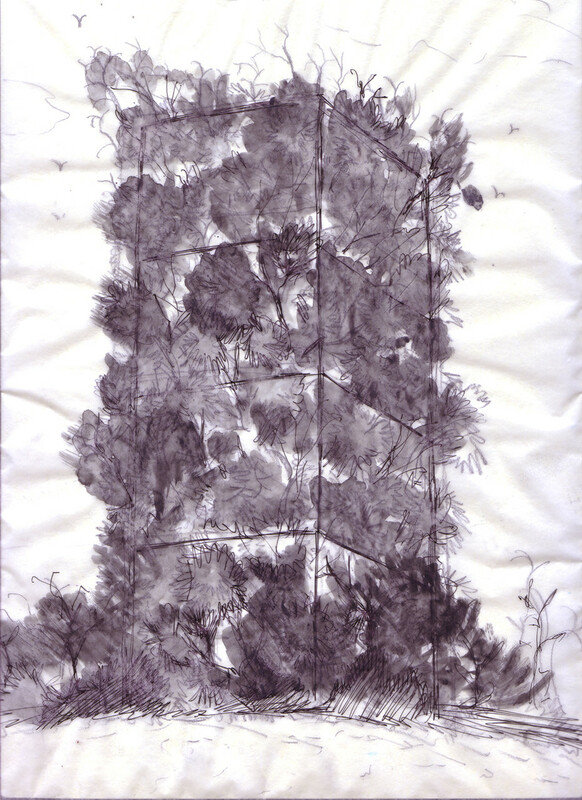 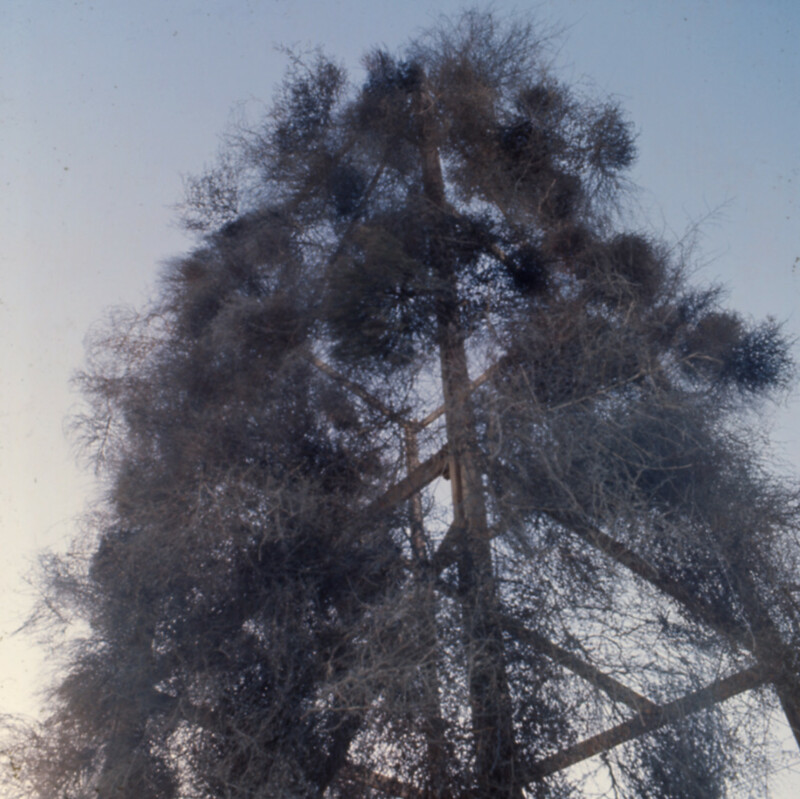 Described by Gianni Pettena as “an unusual skyscraper, a place of ambiguity and of physical and conceptual clarities,” the large tower/tree – the second installation that he realized as visiting professor together with the fourth-year architecture students at the University of Utah – was constructed on a vacant lot, just a few steps from the Capitol, in the city center. 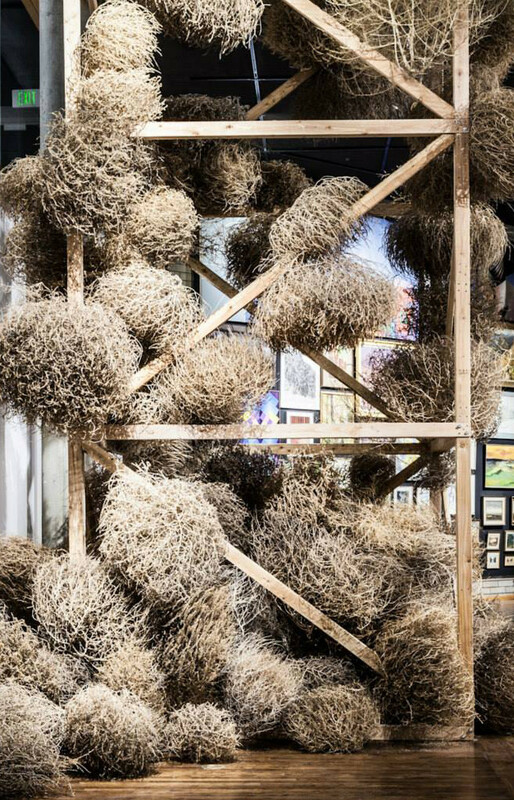 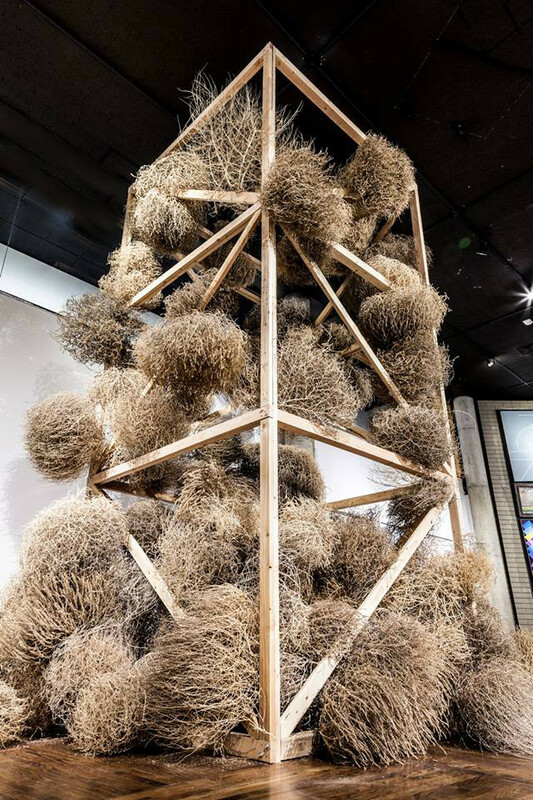 The tumbleweeds, bushes that roll across the desert and that are linked with the dramatic and wild settings of cowboy movies in the imagination of Europeans, were seen by Gianni Pettena as a symbol of the “working” of the territory. 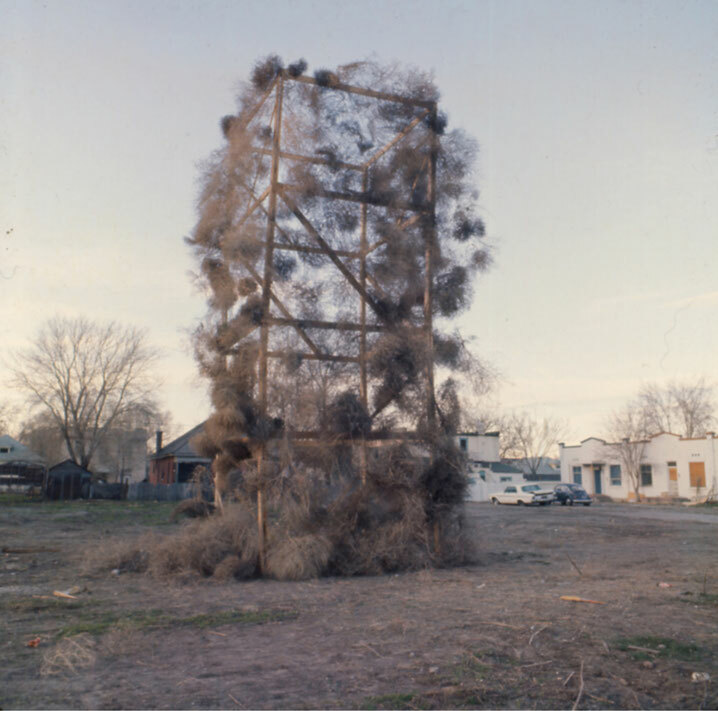 An element of chance and total freedom that is caught as it approaches towns and cities by the netting that lines the freeways. 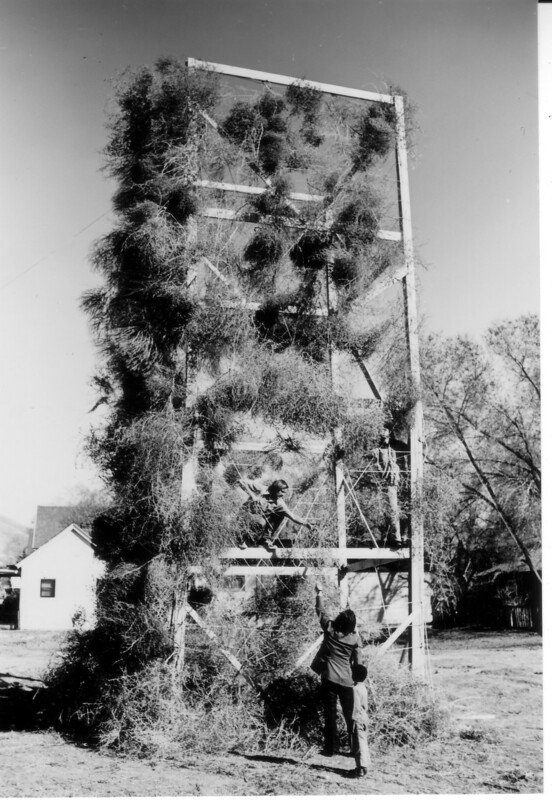 The installation, which the local press described as “another creative expression of Mr. Pettena who believes students need to have physical rapport with ideas” (from the University of Utah Review, March 1972), was intended above all as a reminder that nature has rights of its own even in a strongly urbanized context, a nature that, while it assumes the form of a skyscraper here, remains just nature.